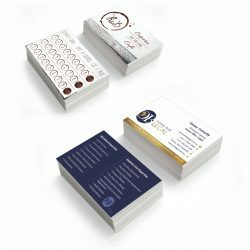 From a simple business stationery order to a high end corporate presentation package, our printers have got you covered in Edmonton. Expressway Signs was born in Edmonton in a garage in 1970. Now we are the largest Printing and Signage Business north of Brisbane operating out of a factory in Portsmith. Throughout Edmonton, Expressway Signs is the name to trust when it comes to sourcing expert signwriters and printers. 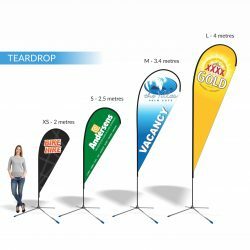 To meet all of your needs, we help you throughout the entire process of planning, designing, manufacturing, delivering, attaining council approval, installing, and maintaining your banners. This is because we are passionate about giving your business the best possible exposure with our banners and signs. 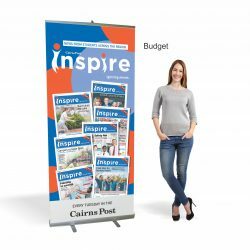 With more than 49 years of experience in the industry, our team are able to provide you with quality banners and signs that will positively promote your company. It doesn’t matter if your needs are large or small; we will work with you to provide a solution for your individual needs. Our printers and signwriters are passionate about giving our Edmonton clients the best possible service. For banners and signs that will make your business stand out, call us on 07 4035 4113 or contact us via email here and we’ll get back to you right away!